With the buds starting to form on trees and the evenings getting lighter, I think it’s safe to say that Spring is starting to show its head after a very long and cold winter. And with that, of course, it means we can stop dressing in the mandatory multiple layers we have had to do through the cold months and transition into short jackets and shirts, dresses and skirts. I love Spring, it feels like the perfect time to dabble with trends and to wear enjoyable pieces without having to cover them up with a huge duvet-sized coat. For me it’s about looking at the key Spring trends and seeing what will work for me. The first trend I will be working with this season is GINGHAM. Those tiny black and white squares are everywhere this Spring. 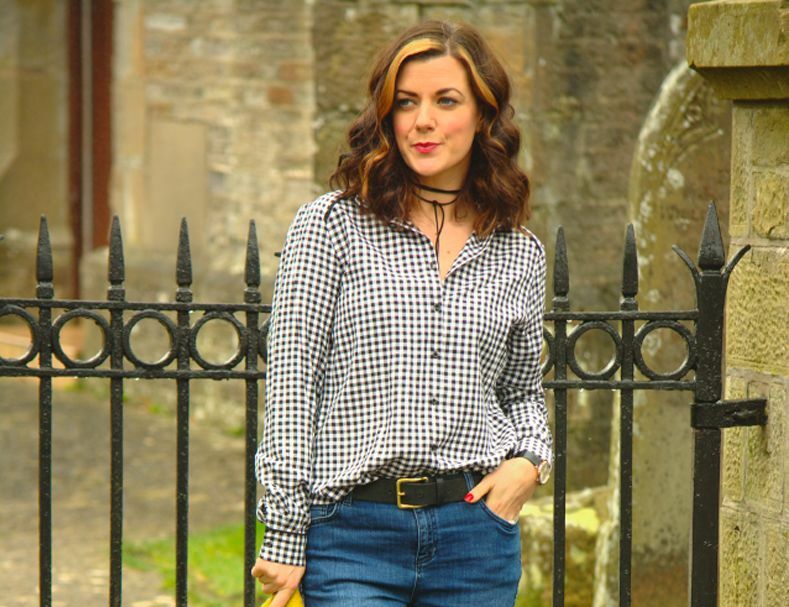 This Laura Ashley Gingham Check Tie Neck Blouse is the perfect way to dabble with this trend. The shirt is easy to wear and stylish. It is comfy, doesn’t crease when worn and is in a lovely light cotton, which makes layering easy. Wear now with a black cardigan or black crew neck sweater over the top and then through Spring and Summer with jeans on its own or left open with a white tank underneath. Such a versatile piece works tremendously well, but you can also wear it on numerous occasions. Button up to the top and wear with coated black skinny jeans and heels and you have instant smart wear that is also seriously on trend. Some other great gingham finds: Double Sided Scarf and this Ruffle Check Tunic. Another Spring trend is an oldie but a goodie, a colour that comes back around each and every year: Yellow. Whether it be to reflect the daffodils, or those tiny little newborn chicks, yellow is a great Spring colour that will perk up any outfit. You can layer with a Pocket Cardigan or pair these Laura Ashley yellow Roll Up Ankle Grazer Trousers. Each time I wear this beautiful colour, people comment on how lovely and sunny it is. And don’t we all just love to have a sunny disposition? I love clashing yellow with a cobalt blue bag for a bright combination that is both fun and on-trend. Or match this Gingham Bag to pull together the whole look. Dressing for Spring has never been so easy, by just adding a couple of key pieces, you will be happily on trend all season long. 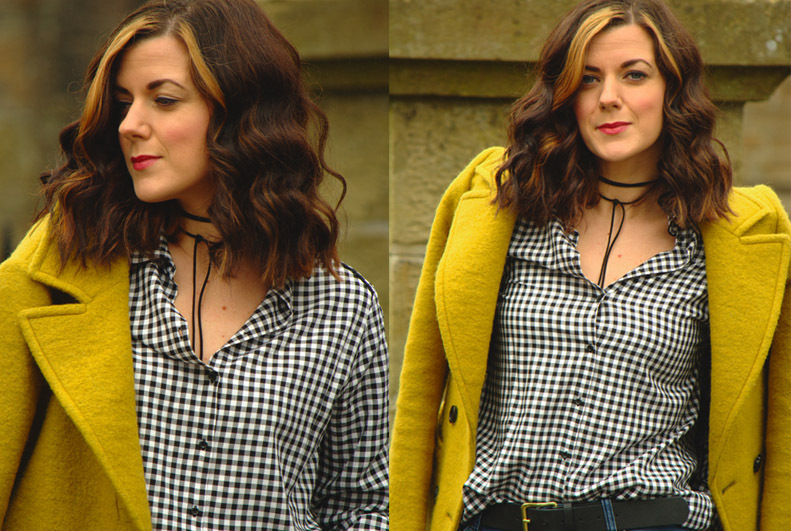 We love this combo of gingham and a splash of yellow. How are you dressing this Spring? Let us know below or on Facebook. 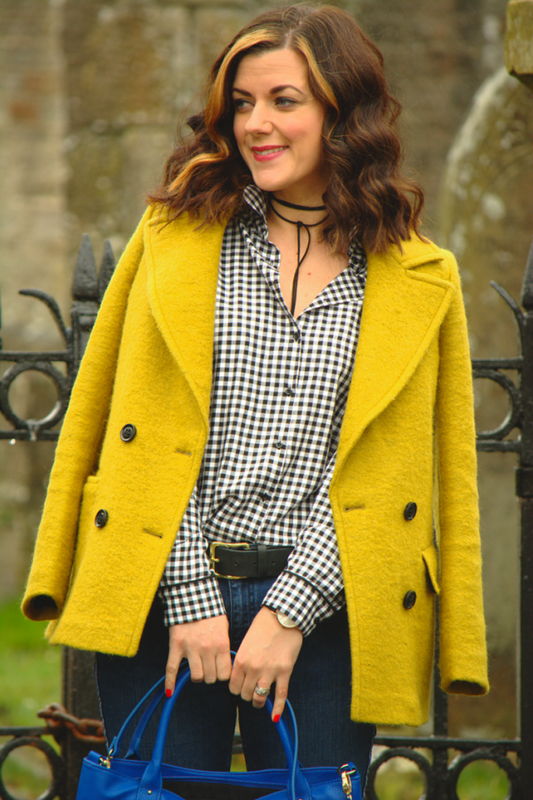 This entry was posted in Favourite Posts, In Style and tagged black gingham, gingham, gingham bag, gingham blouse, gingham scarf, laura ashley, laura ashley usa, on trend clothes, rachel the hat, spring outfits, yellow cardigan, yellow pants. Bookmark the permalink.